1. Cases of respiratory infection and influenza increase by nearly tenfold during theperiod of cooler temperature. 2. Keep up-to-date with all vaccinations of your child to protect from most serious infections. 3. Teach children to regularly wash their hands with soap and water, especially before and after eating or after coughing and sneezing. 4. Discourage sharing or close contact of same food and drinks with others. 5. Well-rested children are less likely to fall sick. Make regular bedtime non-negotiable. 6. Make sure the child stays at home when they are sick. With the drop in temperature, winterbrings various kinds of health problems. Especially for children and the elderly, winter can be difficult. Although all seasons have their own share of cough and cold, it is thewinters, which stand out.Therefore, this is the season, when parents are most worried about health problems and infections related to their children. Health problems like cough, cold and fever arecommon during winter. 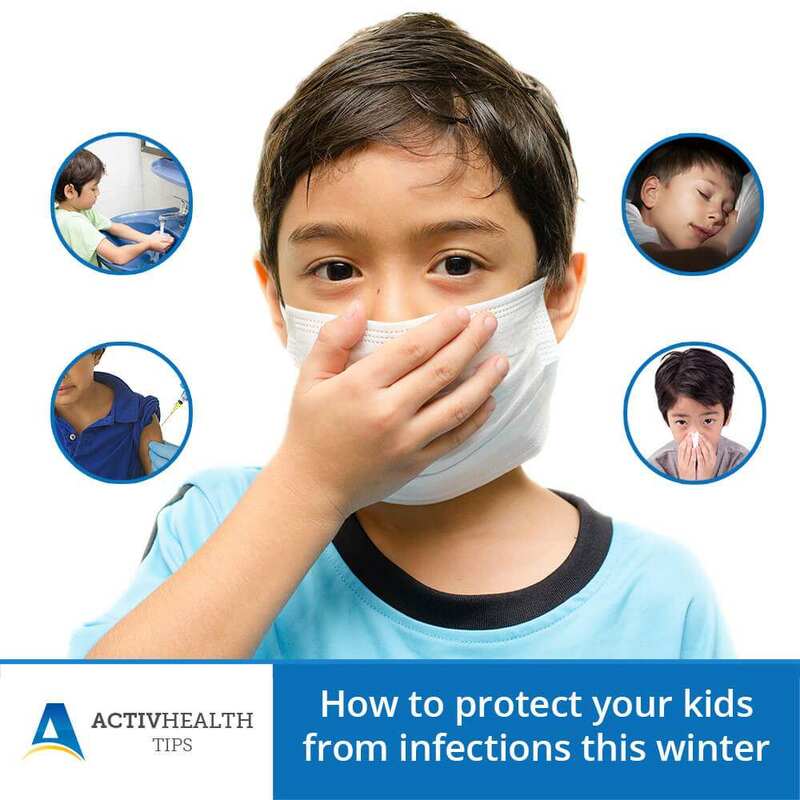 However, these preventive strategies could help protect your children from winter infections. • Basic hygiene at home, school or daycare: Most illness or infections of winter can be prevented by the simple act of washing hands. Most infections are transmitted through coughing and sneezing. Therefore, basic hygiene like using a handkerchief while coughing andsneezing can prevent the infections from spreading. • Avoid sharing personal items – Though sharing is caring, it is better to avoid sharing personal items during winters. It is best to avoid sharing food utensils, water bottles, combs and toothbrushes as they are the leading objects by which germs spread. • Vaccinations –Make sure your child’s vaccines are up to date. Especially, for newborns and infants,it is important to adhere to thevaccination schedule. Flu vaccination is advised to protect children from theflu. Ensure your child is wearing warm, multilayered clothing with good hand and feet protection.This winter keep your child warm to avoid various kinds of infection that winter invites.